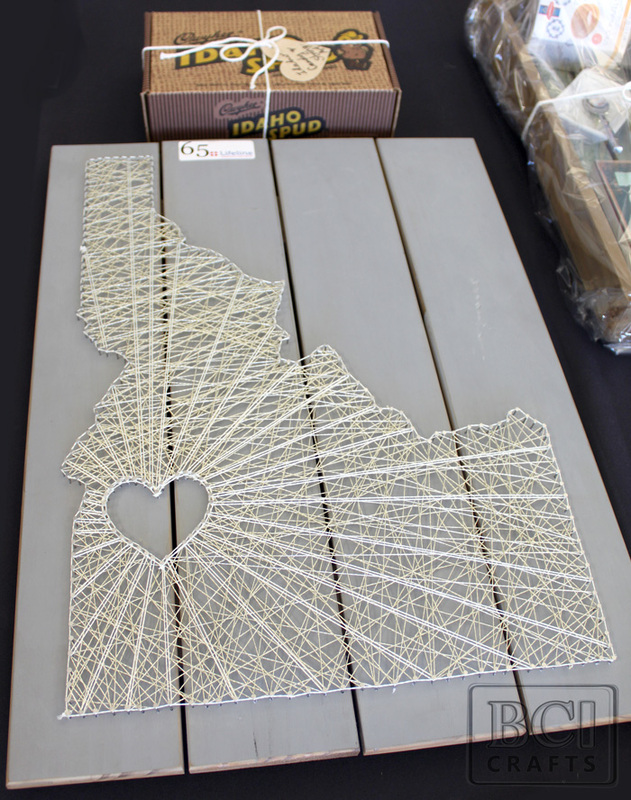 BCI Crafts had the privilege of donating some home decor items for a silent auction fundraiser to Lifeline Pregnancy Care Center in Idaho. 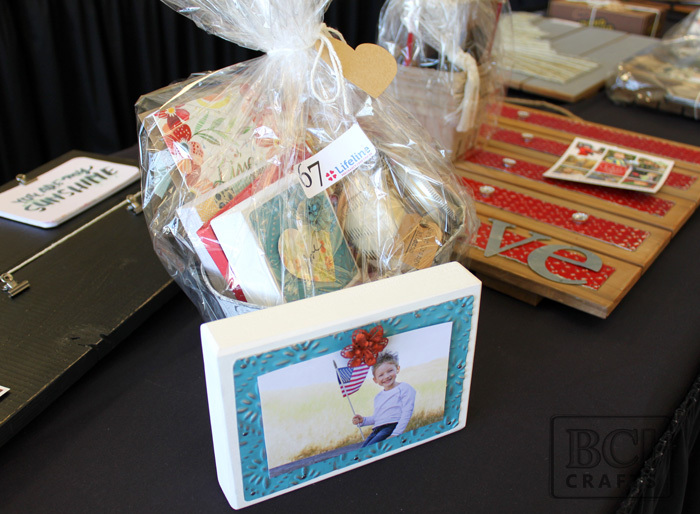 It was so much fun using Salvaged and Bottle Cap Inc brand products by BCI Crafts to create some fun items for auction! 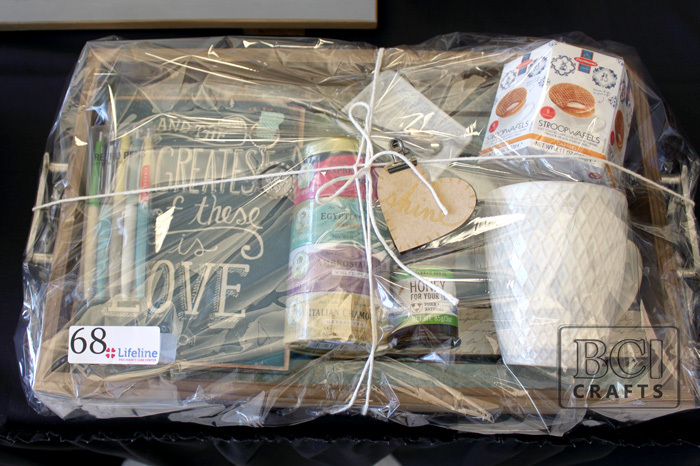 Lifeline PCC is a Christian, life-affirming ministry that provides practical, spiritual and emotional help to women and those who influence their lives, who are dealing with the effects of an unplanned pregnancy, adoption or abortion. They do not discriminate in providing services because of race, creed, color, national origin, age or marital status. Salvaged Wood Pallet with Tea Service, journal and other items added! Relax! 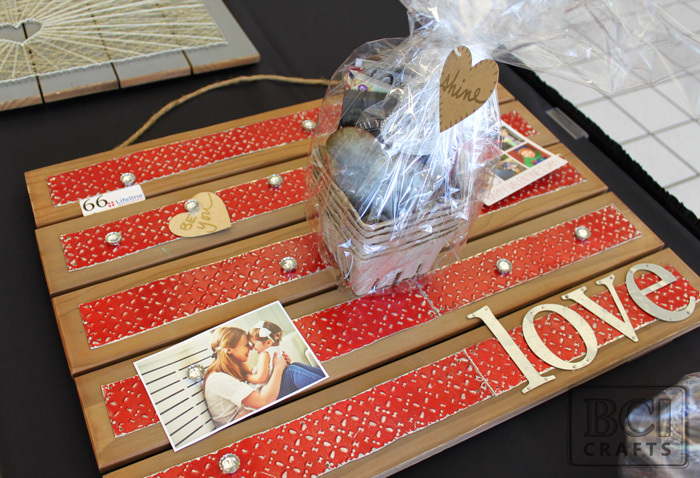 Mother's Day themed gift basket using Salvaged Pine Blocks and other gift items. This one is my favorite! A Salvaged Brand Large Wood Pallet, painted black, Salvaged 12x12 Metal Sheet and photo clips attached.